This classic, easy recipe makes a perfect gift! 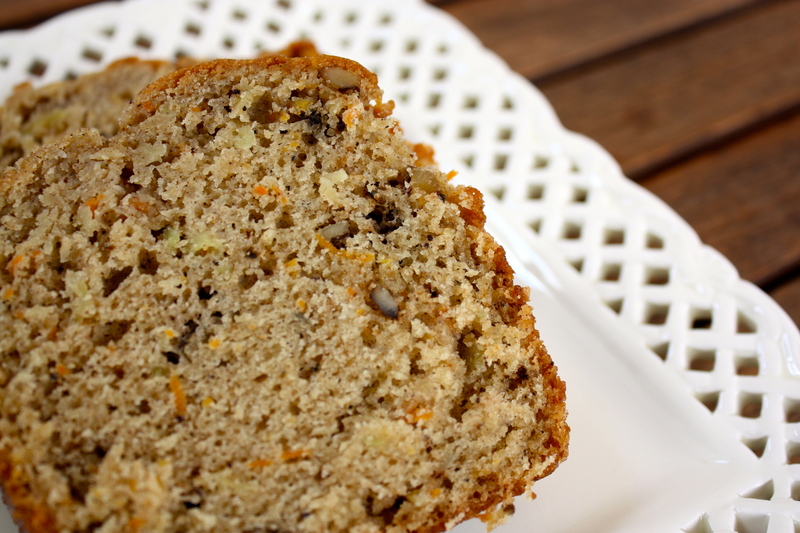 Wrap up a loaf of Zucchini Amish Friendship Bread to show a friend that you’re thinking of them. This is a great recipe to get creative with. You can have fun with different add-ins. Fold half a cup of grated carrots into the batter, or–if you’ve got a sweet tooth–fold in a cup of mini chocolate chips. If you want a smooth top bread don’t add anything to the top before baking. If you want a crackly top, sprinkle a light layer of sugar before baking. This classic, easy recipe makes a perfect gift! 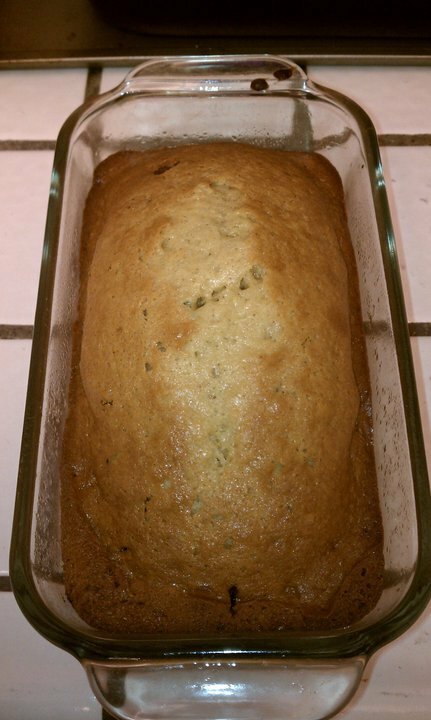 Wrap up a loaf of Zucchini Amish Friendship Bread to show a friend that you're thinking of them. In a large bowl combine all the dry ingredients. Mix well. Yummy! Extra good with 1 cup of walnuts added. I am so thrilled to find your site!!! I switched out the vanilla pudding for chocolate pudding and also added about 1 t. unsweetened cocoa powder for more color. Made mini muffins, which all had nice big muffin tops. They were wonderful! I’ve made this for 2 years now. It’s the ONLY bread I make these days. It’s like CRACK when you serve warm with butter on it. I find that it is still doughy in the middle at 325 for an hour….I really have to eyeball it most of the time. I use 1 large box of pudding instead of 2 small. Seems to work just fine and mini chocolate chips is the only way to go…regular size doesn’t disperse the chocolate like it should. I grate my zucchini in the ninja food processor and I let it sit in my fridge overnight in a bowl. It dries it slightly and makes it perfect for use. 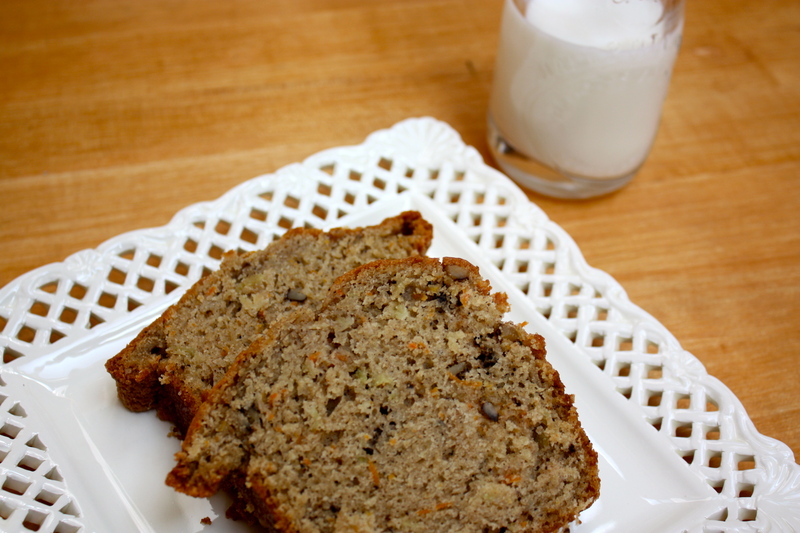 Here’s a great way to use up zucchini! This was very moist. I received rave reviews from my co-workers. I used stoneware loaf pans (from pampered chef) and I did have to cook it an extra 10 minutes and probably could have gone another 5 minutes. All in all, a great first recipe for my AFB starter.